So you want to know what to pack for Italy? Italy really has it all. Cities that you could explore forever, coastal areas that you’ll never want to leave and small villages full of character. What you pack will depend on what areas you visit and activities you plan on doing. There are a few things to keep in mind to pack perfectly. 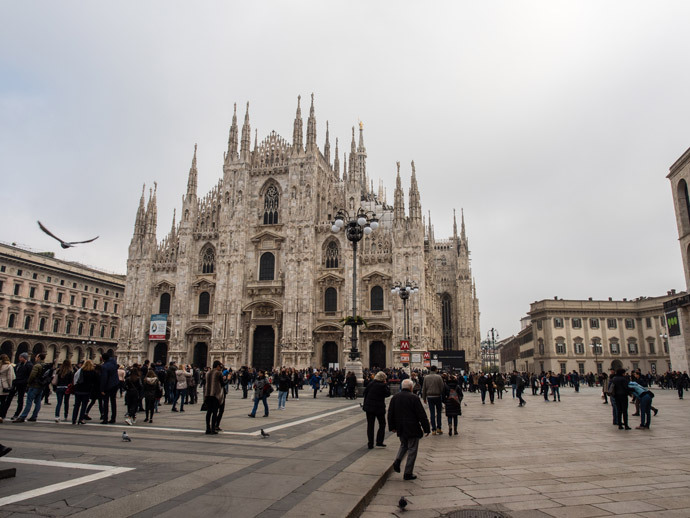 So here’s what to pack for Italy, and as we love packing light, here’s our carry-on only version (with printable packing list at the end of the post). 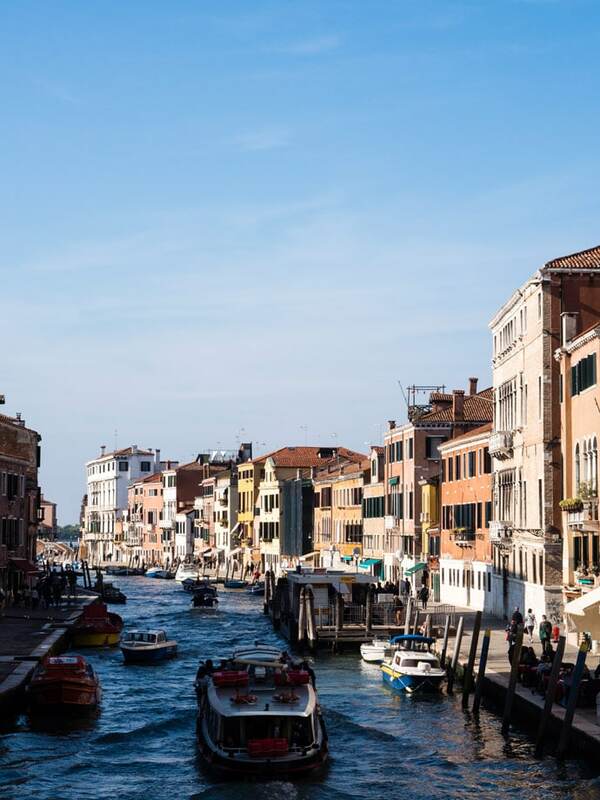 The main things to consider when packing for Italy is when are you going (see when to visit Italy below), where are you going and what are the main activities that you will be doing. Obviously the season you visit will slightly change what to pack for Italy, but not drastically. Think more layering rather than completely different items. In the cities, Italians dress stylishly yet simple. Certain items like shorts and flip-flops (thongs) are not very common. In coastal areas things are a little more relaxed and the activities you do will be different, so more casual clothing is appropriate. The things you do in Italy will also determine what to pack for Italy. Italy has such a range of activities you can do from hiking, skiing, beach activities and visiting anything from a museum to a cheese farm. It’s best to think of the least amount of things you can pack that you can also use across all your activities. Seeing the sights may include religious sights with a dress code such as no shorts and shoulders covered. Make sure to keep this in mind when packing. Packing light is also important as it will be easier to get around Italy. If you’re using trains to get around, you will have limited space for luggage and it will be so much easier to get around with less luggage. The time of year you decide to visit will change what to pack for Italy as there will be different seasons and weather to pack for. Summer is the peak season for Italy. 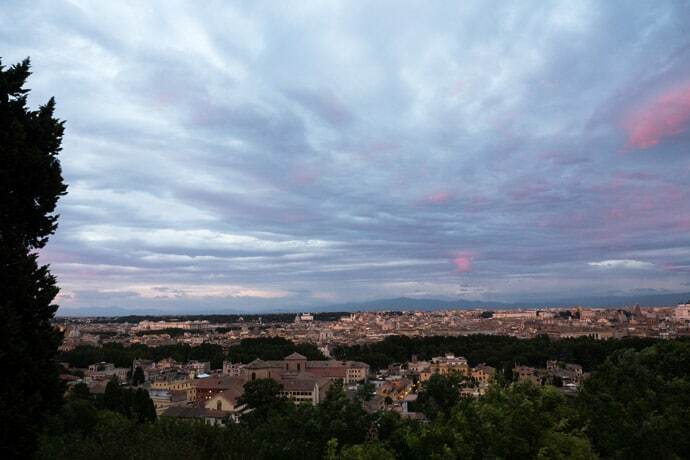 Keep in mind that if you visit Italy in Summer, there will be higher prices and less availability for accommodation, it can get really hot, and it will be much more crowded. In August, some business close in the cities as people from the cities holiday on the coast and other areas. This makes both the coastal areas busier and the cities a little less busy. If you want to be surrounded by locals then August is probably not the best time to visit the cities. 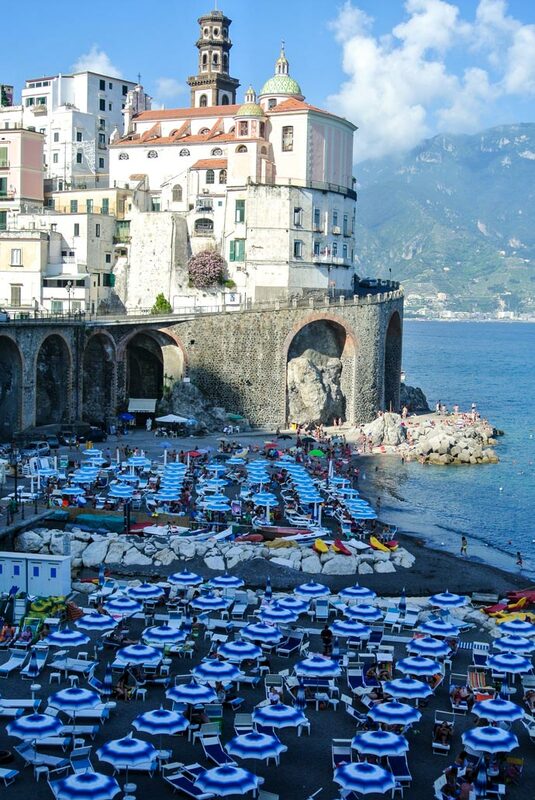 If you’re visiting coastal areas like the Amalfi Coast or Cinque Terre for great swimming weather, then summer is a great time to visit. But for these areas you will need to book very far in advance to get accommodation. Early Autumn and late Spring may be better times to visit Italy if you’re planning on mainly exploring cities and inland areas. It’s actually still a great time to visit the coastal areas for things like hiking and less crowds. Winter in Southern Italy is more mild than some other European countries, so it can still be a good time to visit. If you’re visiting for snow and skiing then this is obviously your time! 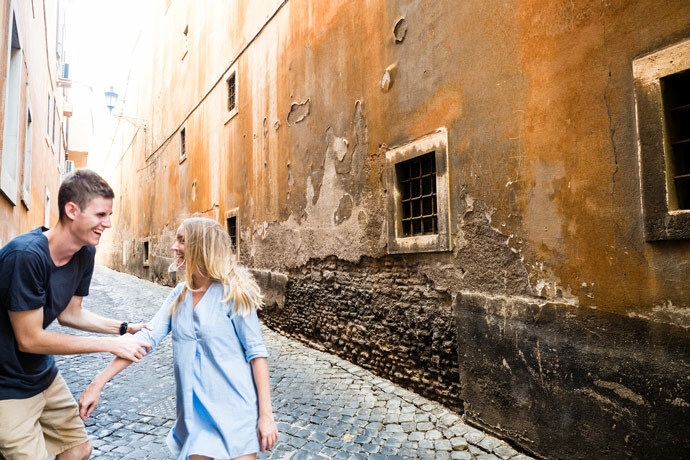 The most important thing to remember when packing shoes for Italy is the cobblestone streets. Wearing and packing heels is just not necessary as it’s a difficult place to walk in them. When packing light, I always try to pack no more than 4 pairs of shoes, but 2 – 3 is best. This will depend on time of year, places your visiting and activities. For walking around cities I would recommend ballet flats or flat boots for colder months. For coastal areas I would recommend thongs (flip-flops) for the beach and sandals for the evening. The main clothing variations you will have will be between coastal areas and cities, and with the different seasons and activities. For the beach areas more casual clothing and shoes is fine, whilst for cities a little dressier. If you plan on doing active things like hiking then activewear is also necessary. But what to pack for Italy for the colder months? When packing for the colder months I would include a long sleeve top, jumper/jacket and a rainproof coat can come in handy. If you’re planning to visit coastal areas like Cinque Terre or the Amalfi Coast, or even just staying in a hotel with a pool then swimmers are obviously a must. Two pairs are great to give them time to dry if swimming each day, but if you don’t plan on doing a lot of swimming then one pair is fine. Accessories for the beach and warmer months: Hat, sunscreen and sunglasses will help to protect you from the sun and make your time more enjoyable. For the colder months/areas I would add in a scarf, beanie and gloves. If you pack carry-on only, you need to keep toiletries to below 100ml, or you can buy certain toiletries once you get to Italy. Things like toothpaste, shampoo and conditioner can be easily bought in Italy, or you can pack travel size or decant your own from home. Other things to pack include toothbrush, deodorant, shaving items, hairbrush, hair ties, cleanser, moisturiser and makeup. For makeup I keep it simple and pack CC cream, mascara and eyeliner. I usually always pack the basics like paracetamol, Ibuprofen, cold and flu tablets, Imodium, simple first aid (bandaids, tweezers, Betadine/antiseptic). I also pack probiotics and take them regularly. If you take prescription medication, make sure to pack enough for your entire trip, plus a little more, just in case. Always pack this in your carry-on so it’s with you at all times. If you need to refrigerate medications make sure to have an appropriate case to pack them in, you can also ask for ice on the plane and make sure to book accommodation with a fridge. If your room does not have a fridge, the hotel may be able to store it for you. Before I travelled full-time working as I go, I would try to avoid packing as many electronics as possible. But now, I have to pack a phone, laptop, camera, and chargers. If you’re not working, then a laptop is probably not necessary. But I have found a phone to be quite useful, particularly for maps. If you bring an unlocked phone to Italy you can pick up a local sim card to use internet. TIM, Vodafone and Lycamobile are some that are available. If you want to capture some great memories then of course a camera is essential. We use an Olympus OM-D EM5 Mark II and an Olympus Pen EPL 7. Other things to bring include headphones and an electric adaptor plug. Obviously this is ‘what to pack for Italy carry-on only’, so we would say bring a carry-on bag only ? We both have a carry-on bag, then I have a handbag and Chris has a small backpack. A small backpack is essential for day trips and long days out exploring. As for the carry-on luggage, we use Antler Juno bags which we love. Soft cases or backpacks are also great. The essentials for every trip, Passport, Visa, flight tickets, accommodation booking details, travel insurance documents, credit and debit cards, drivers license (photo ID). I also have soft copy of travel documents. It’s always handy to have a small amount of local currency when you arrive. Otherwise, there will be ATMS available. Although a lot of places accept credit card in Italy, this isn’t the case everywhere so make sure to be prepared with cash. If packing light is new to you, the simplest guide that helps me pack light is to stick to 20 clothing items (including shoes), not including underwear. Usually, as long as you mix and match, 20 items gives you both lots of different outfits as well as keeping it light. Find all my absolute favourite tips about packing light and how to get in the packing light mindset here. Another item which helps me to pack light is using packing cells/cubes. This way everything is organised and it helps me to make sure I’m not packing too much of one thing. I try to keep them in categories, so I know if all my tops don’t fit in one cell for example, I’ve packed way too much and need to remove some tops. Now if you’re thinking, is packing carry-on only even possible, it absolutely is. We have been travelling full-time carry-on only for over a year, travelling to multiple different countries in different seasons. The reason I’m telling you this is just to show you how possible it really is. 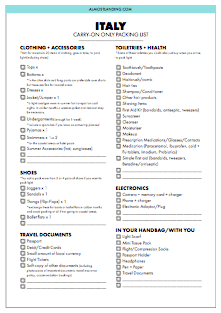 Get your free printable Italy Packing List here to help you choose what to pack for Italy. and regarding sight seeing wish to go there see and book the same. what will be your suggestion please guide and advise us. 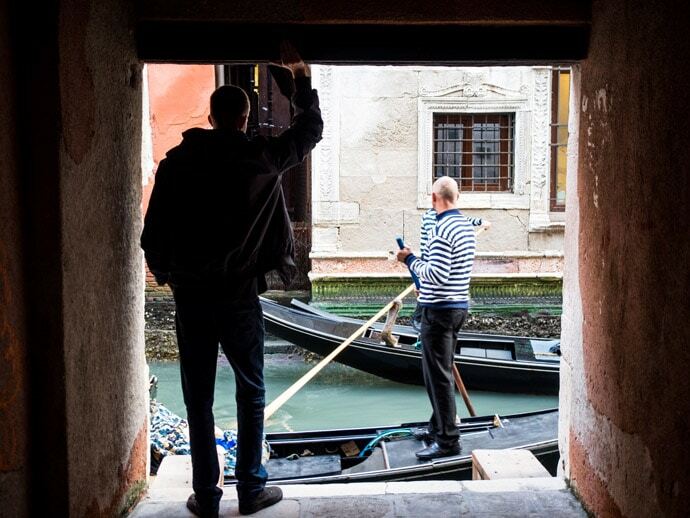 Hi Ravi, that sounds like an amazing trip :) We absolutely love both Rome and Venice! For the trains, we usually book online with Trainline (https://almostlanding.com/trainline) in advance to take advantage of the early bird prices. The trains in Italy are great and have beautiful scenery. 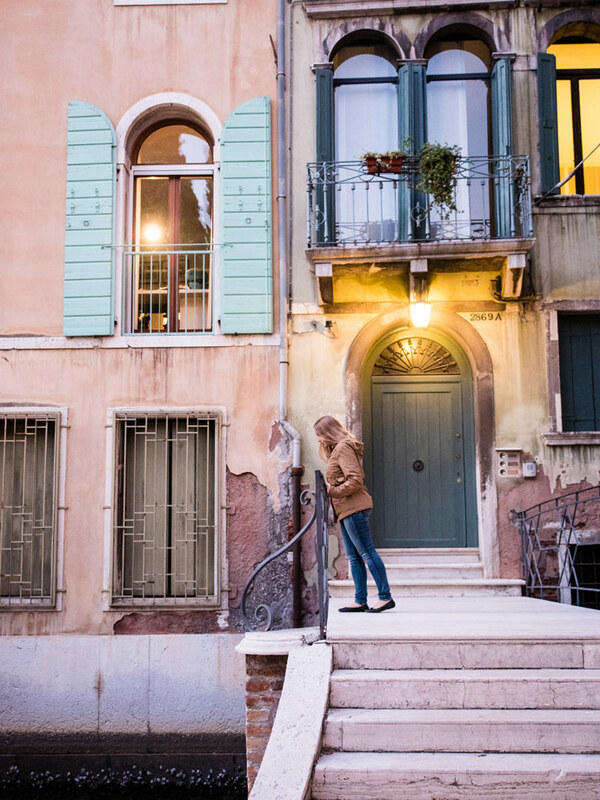 In Venice, one of our favourite things to do is explore the areas with fewer tourists like Castello and parts of Dorsoduro. And eat Cicchetti!